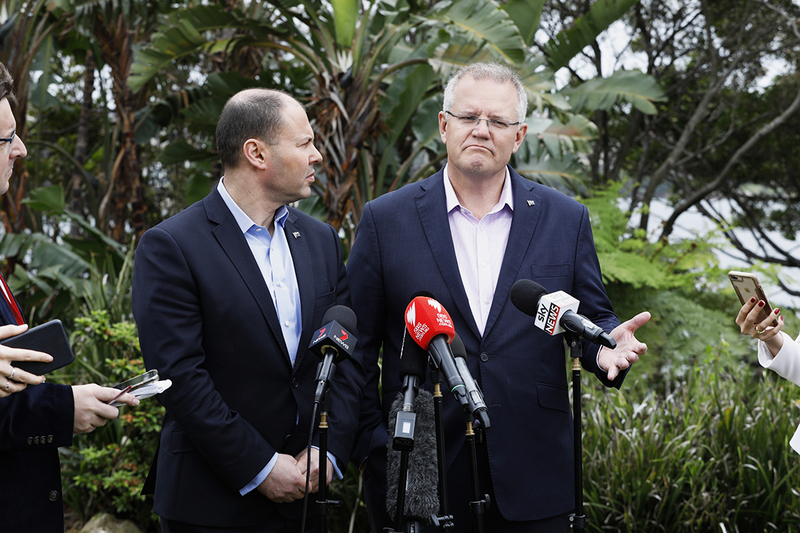 In the wake of Malcolm Turnbull’s downfall and the Wentworth by-election debacle, conservative politics is in turmoil, with indications that a realignment is looming. The very real prospect that the Coalition will lose office next year is adding an element of panic to a political mix that is already heated and volatile. The move against Turnbull was a long time coming, and while its justification was couched unconvincingly in terms of issues, its real genesis lay in long-simmering culture wars fuelled by a bitter frustration — or, in philosophical terms, ressentiment — among those on the right. This groups feels that it has won the economic battle (admittedly, against a long-vanished left) but is losing the fight on the cultural front. Even though a substantial majority of Australians supported marriage equality in the postal survey that the right forced on a reluctant Turnbull, and despite the proposal’s having been duly carried into law, the conservative cultural crusaders in the Liberal Party have never accepted it. “I felt Malcolm was just dead in the water after that,” a Turnbull ally told me recently. “It didn’t matter what the majority of Australians wanted or even the parliament itself, but the fact that it happened on his watch constituted a form of death sentence for his leadership. He was clearly not part of the tribe.” The issue was certainly the catalyst for ultraconservative Concetta Fierravanti-Wells to quit Turnbull’s frontbench — accusing him of leading a “Labor” government — and to spark a wider revolt. Turnbull was never accepted as sufficiently tribal by the hard right. The only thing that might have saved him was winning a thumping majority in 2016 rather than the single-seat majority he had to live with. It seemed not to matter that he no longer pushed his republican barrow. Nor that he bowed to the demands for that costly and quite unnecessary survey. It didn’t count that he retreated from his belief in a market solution to carbon pricing or, indeed, gave up on a whole raft of issues with which he had previously been identified. He was simply on the wrong side of the cultural fence, notwithstanding his continued policy largesse to the business community. The curious logic of the culture wars is little understood. It is all-out war in which compromise and consensus are despised and seen as capitulating to the enemy. In this case the enemy is anyone outside the immediate tribe (or, as Fierravanti-Wells put it in an interview, her “base” — a frighteningly small proportion of members in the Liberal Party). The “enemy” is everywhere, and an important consideration for the warriors is that ideas are never shared and values are not held in common. It is a simple binary world, a world without complexity or nuance. A shining example of this rigid mindset is Tony Abbott’s outright rejection of climate change science as “crap.” It has nothing to do with impartial analysis or critical examination of the facts: it is simply that the whole idea of climate change is owned by the “left.” The same thinking (for want of a better word) goes for marriage equality, renewable energy, humane treatment of refugees, public education, minority rights, and so on. In this two-dimensional, black-and-white world, political discourse is reduced to slogans. While even the hard right could not manage to entertain an Abbott comeback, home affairs minister Peter Dutton was seen as the next best thing to carry on the cultural crusade, but it did not happen. Dutton’s push against Turnbull was clumsy and amateurish, and it had many of the hallmarks of another attempted conservative insurgency that was launched in Queensland three decades ago, the “Joh for PM” campaign. The fact that Queensland is different from the rest of Australia in so many ways is too easily overlooked by Queenslanders applying their perspective to the rest of the country. Liberals tell me that Dutton decided to make his move against Turnbull after the Longman by-election in August, which saw not only the government failing to take the seat from Labor but Labor increasing its margin. It is difficult to see how the result could be seen as a verdict on Turnbull — but that was how Dutton and his supporters portrayed it. Nevertheless, there was good reason for Dutton to be fearful of the rise in Labor’s vote. His own seat of Dickson is anything but safe. Just how Dutton as prime minister would have played out in non-Queensland Australia is interesting to contemplate. Could his raw populism, kneejerk political solutions and absence of any discernible charisma survive outside his home state? Queensland is the only state that, as a colony, resisted separation from New South Wales. Demographically, it is the only state in which a majority of the population lives outside the metropolitan area. 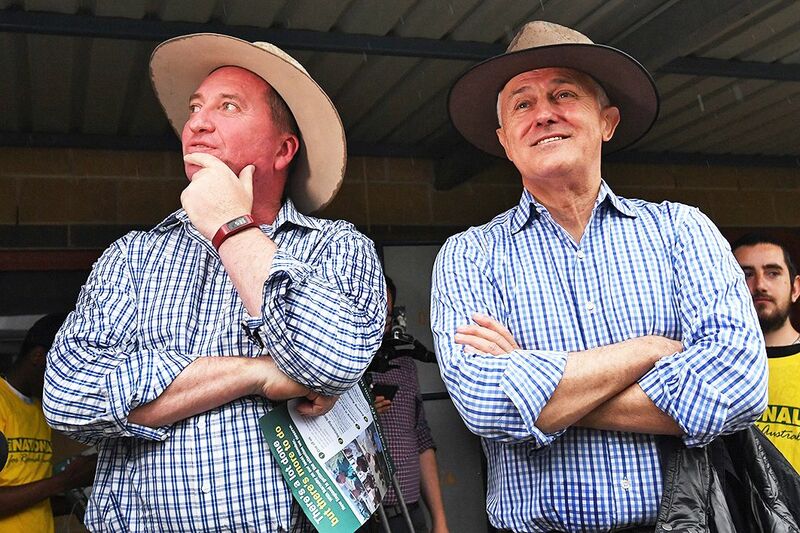 In terms of Coalition politics, the old Country Party (now the Nationals) was the senior partner for decades, significantly overshadowing (with the help of a gerrymander) the largely Brisbane- and southeast-based Liberals. As Howard told me in 1993, “they never forgave me… and that is why he came after me in 1987.” That was the year Bjelke-Petersen decided that what was good for Queensland would be good for Australia, and set about undermining both of the Coalition partners in a bid to ride a populist bandwagon into Canberra and become prime minister and saviour. It was not to be. The “Joh for PM” campaign merely succeeded in ensuring Labor’s return. The rest of Australia looked on with bemusement, never having been told how the insurgent, minus a party, would somehow wrest seats from the other parties south of the Tweed, and especially in Sydney and Melbourne. The campaign collapsed in laughter, best captured by Sydney Morning Herald cartoonist Alan Moir, with Bjelke-Petersen portrayed as a rural hayseed driving to Canberra in a decrepit old jalopy bearing the number plate EIEIO. And there’s another difference from the rest of Australia. In Queensland, the major parties are under threat from the far right in a way that they aren’t elsewhere. It’s no coincidence that One Nation has its firm base in the state, and if Dutton’s calculation is to head off this threat, he is responding to a fundamentally Queensland problem, not a national one. The Nationals in Queensland, for their part, have long been under siege from extremists. For many years the long-serving senator Ron Boswell waged an unrelenting campaign against the League of Rights as it sought to infiltrate and subvert the party. Now, with reports of an attempt by a homegrown alt-right movement to infiltrate the party, and with burgeoning discontent at the federal level fuelled largely by elements of Queensland’s merged Liberal National Party, a realignment of forces seems likely. Tensions will almost certainly flare in the lead-up to the 2019 election, especially in some fiercely contested preselections, where the culture wars will inevitably play out with important ramifications for the future complexion of the troubled Liberal Party. Almost certainly, some of this will spill over into the state arena as both Victoria (November) and New South Wales (March) head to the polls with the Liberal brand damaged post-Turnbull. And the Nationals are once again facing the prospect of another destructive Queensland-inspired insurgency. Norman Abjorensen of the ANU Crawford School of Public Policy is the author of three books about the Liberal Party and its leaders.